N.B. My page numbers refer to The Arrow Books 2010 edition. If you have a different edition, see the bottom of the page for the list of chapters by page number. 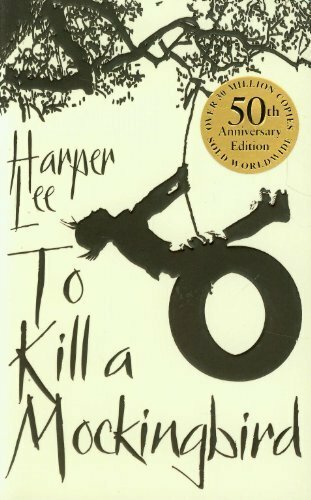 Here are some quotes which would be useful for answering a question such as: How does Harper Lee present Aunt Alexandra in the novel as a whole? ‘Put my bag in the front bedroom, Calpurnia.’ was the first thing Aunt Alexandra said. ‘Jean louise, stop scratching your head.’ was the second thing she said. Aunt Alexandra was positively irritable on the Lord’s Day. given the slightest chance, she would exercise her royal prerogative: she would arrange, advise, caution, warn. Aunt Alexandra was of the opinion … that the longer a family had been squatting on one patch of land the finer it was. Perhaps this was why she had come to live with us – to help us choose our friends. ‘Stay with us Jean Louise,’ she said. This was a part of her campaign to teach me to be a lady. She gave Miss Maudie a look of pure gratitude, and I wonered at the world of women. Miss Maudie and Aunt Alexandra had never been especially close, and here was Aunty silently thanking her for something. For what, I knew not. if Aunty could be a lady at a time like this, so could I.
Aunt Alexandra’s fingers trembled as she unwound the fabric and wire from around me. ‘Are you alright darling?’ she asked me over and over as she worked me free. For more of my pages on ‘To Kill a Mockingbird’, please hover your cursor over the Lee tab at the top of the page.